In this new three-part BBC Two series, Robert Peston tells the colourful story of shopping in Britain since the Second World War. 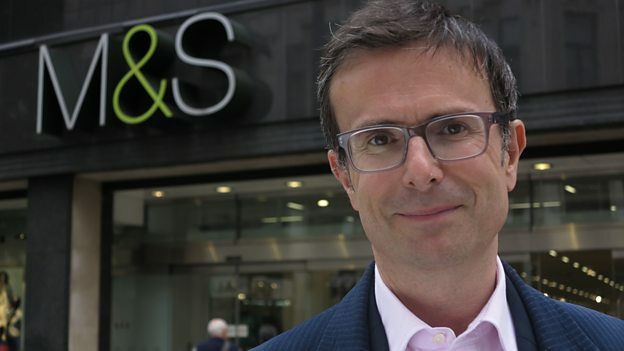 Using rarely seen archive and interviews with the key players of British retail, Peston explores how shopping has changed – and how it’s changed us. He tells the story behind some of our favourite high street stores, including Marks and Spencer, Sainsbury’s and Tesco. He explains how we fell in love with shopping, but allowed the love affair to become too passionate, so much so that many of us ended up in chronic debt. And he shows how retail is now in the grips of a revolution as it attempts to come to terms with the rise of online shopping and the fallout of the financial crisis. But in the economic boom of the 1950s, consumerism took off. Marks and Spencer led the way with a mix of quality, value and customer service. From America came self-service supermarkets, which changed the way we shop. Then came out-of-town superstores – one-stop shops which fed the need for convenience as car ownership and the numbers of working women rose in the 1960s. By the 1980s, shopping had been transformed into a leisure activity – a fundamental shift confirmed by the opening of Britain’s first large out-of-town shopping mall in 1986. Gateshead’s MetroCentre was more than just a shopping centre – it was a leisure complex complete with restaurants, cinema, and even a fun fair. Shopping was king. Interviewees include Lord Sainsbury; Lord Kalms, the man behind Dixons; and George Davies, the creator of Next.